Craving some shawarma or kathi rolls? 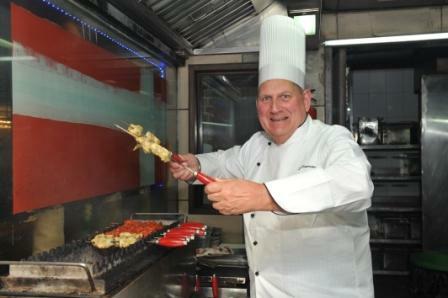 Have a sudden yearning for delicious tandoori chicken or aloo chaat? 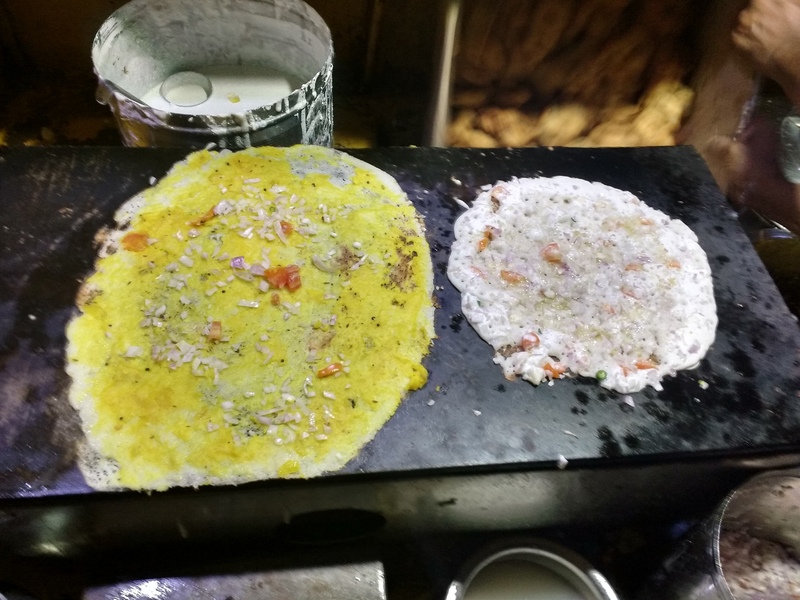 Noida’s Brahmaputra Market is the hub for everything food related. At the BP Market, one can satisfy their evening cravings or find dinner to take home. You can also indulge in some Chinese cuisine, gorge on some a pastries and doughnuts or simply fill up on some fresh juice or shakes. 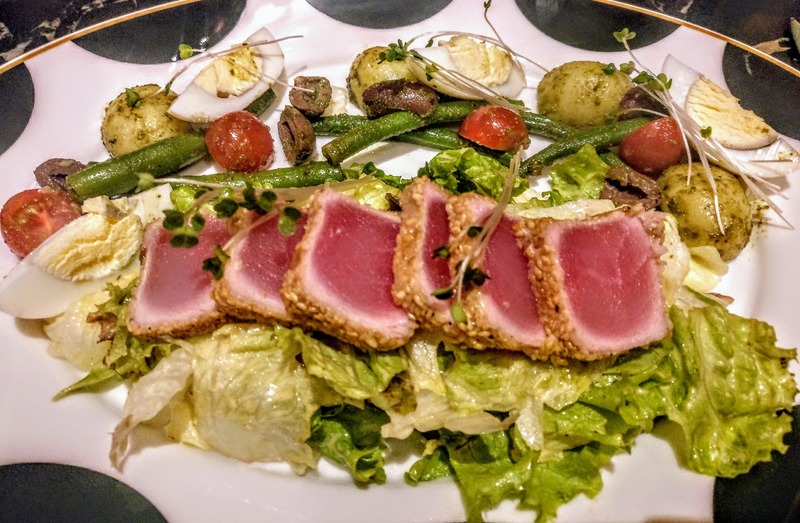 It is truly a foodie’s paradise. 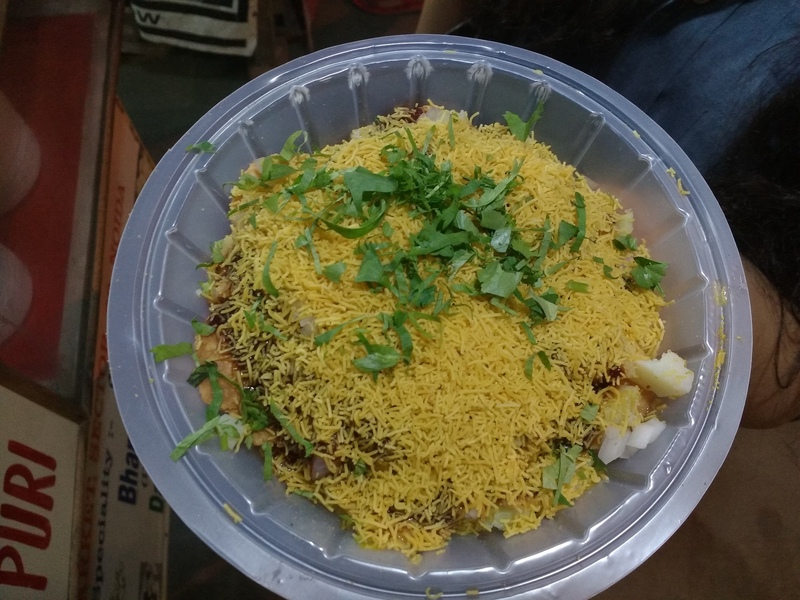 Nestled among the bustling Brahmaputra Market is a small kiosk going by the name of Bombay Bhel Puri. 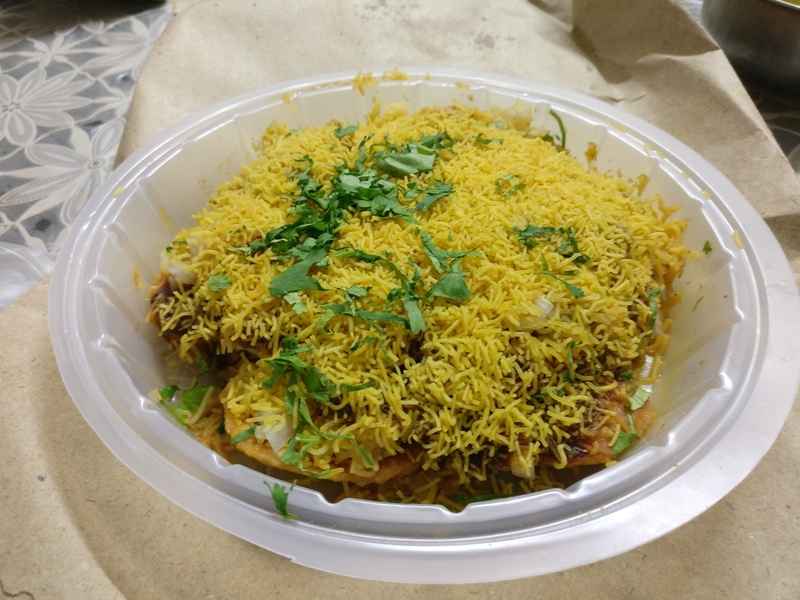 Established in 1995, Bombay Bhel Puri is known in the locality for its mouth-watering sev puri and bharwa golgappe. 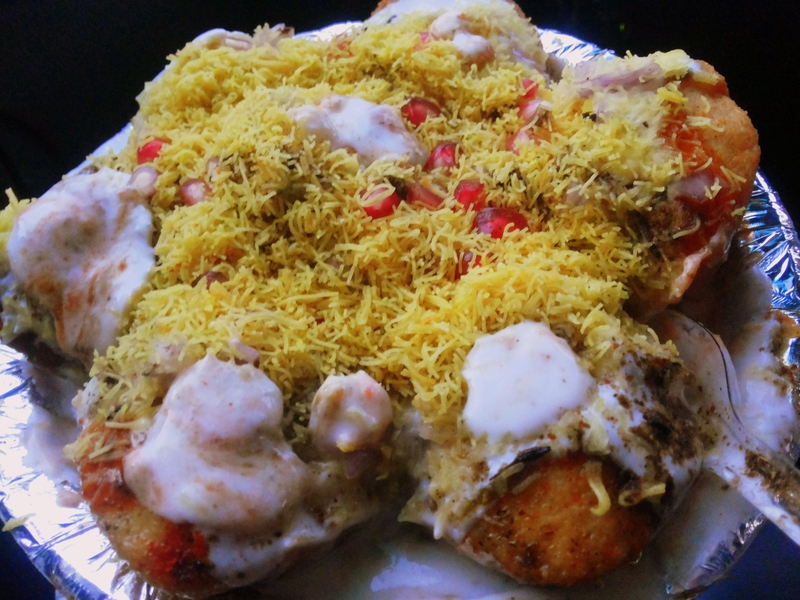 The sev puri is a definite stand out and absolutely delicious. Covered in a layer of sev with a few coriander sprinkled over it, it appears to be nothing special at first sight. But as one begins to dig in, various other ingredients are revealed. A plate of sev puri consists of 7 papris topped up with generous servings of aloo, onions, imli chutney and sev. Every bite of this savoury is a burst of flavours and absolutely heavenly. 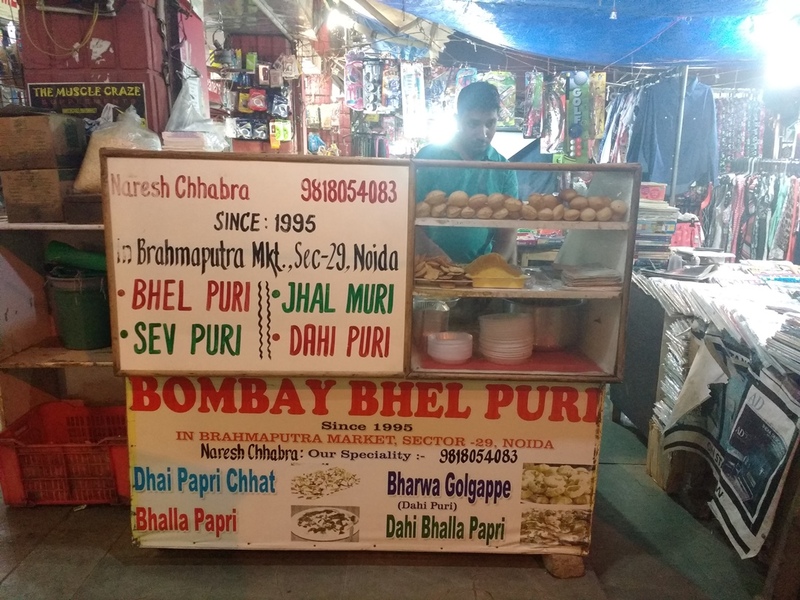 Bombay Bhel Puri is owned by Mr Naresh Chabra who has been in business for the past 22 years. Usually, he sits all by himself. At other times, he is assisted by one other fellow. One can also choose from other chaat items like bhel puri, dahi puri, jhal muri, bhalla papri, and a few more chaat items. A lot of people prefer to get the items packed and take it home, instead of eating it at the crowded market. 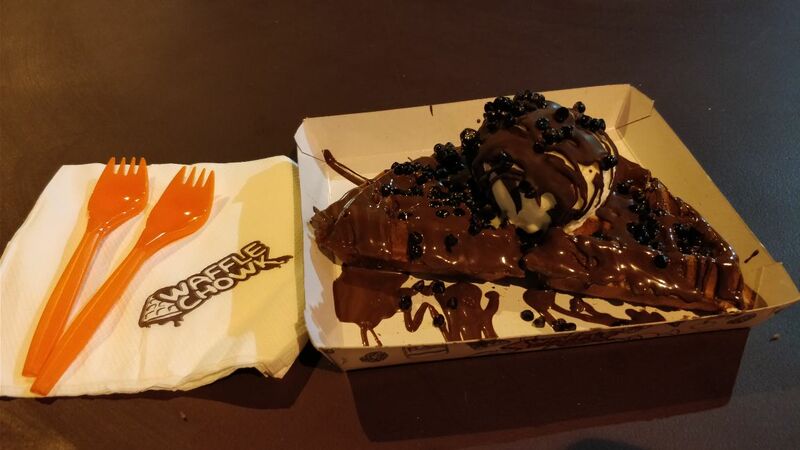 But of course, everything tastes better when it is freshly made and eaten on the spot. Chaat items are the staple street food of Delhi and it isn’t difficult to spot one kiosk in every nook and cranny selling the same. However, Chabra’s Bombay Bhel Puri stall is exceptionally good. 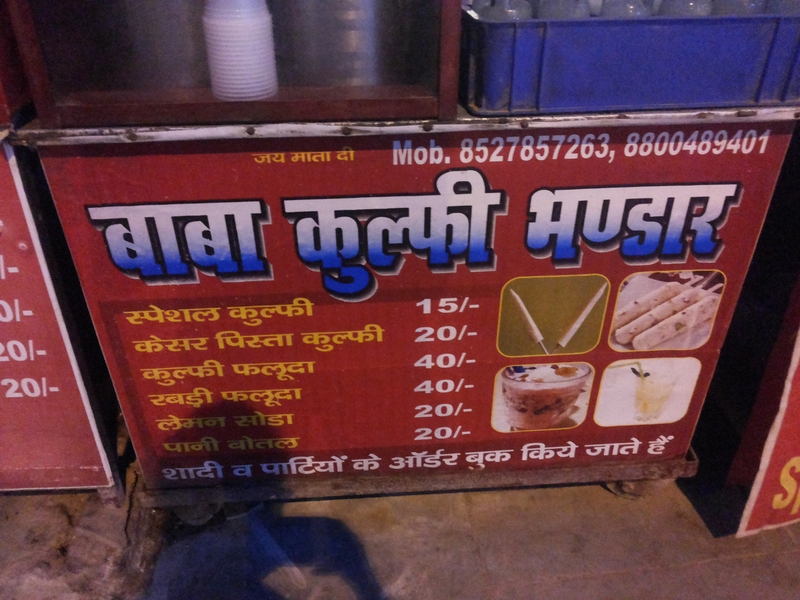 Most of the chaat items are priced at rupees 50 and are enough to fill a person to the brim. 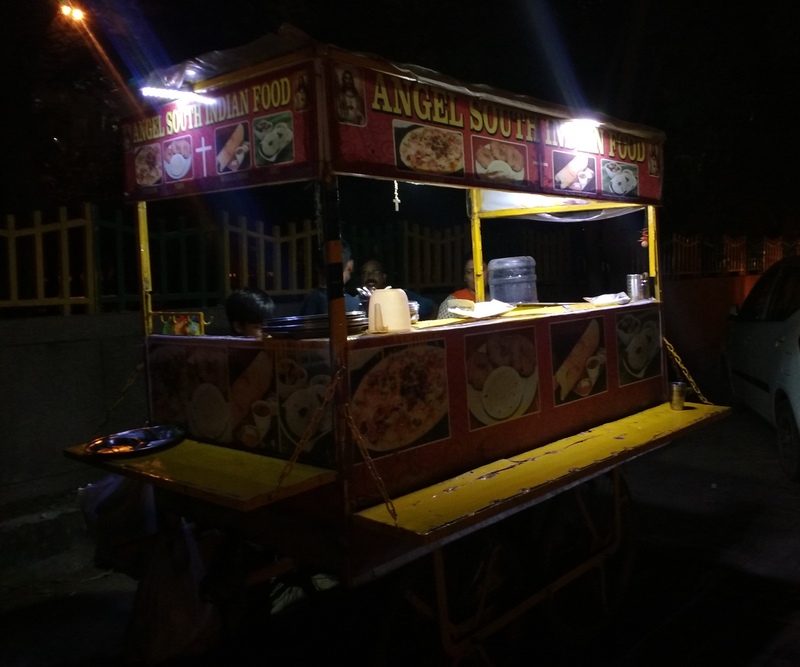 Like every other food stall in the BP market, this too opens up only during the evening. One can easily reach the market by metro, nearest being the Botanical Garden Metro Station. 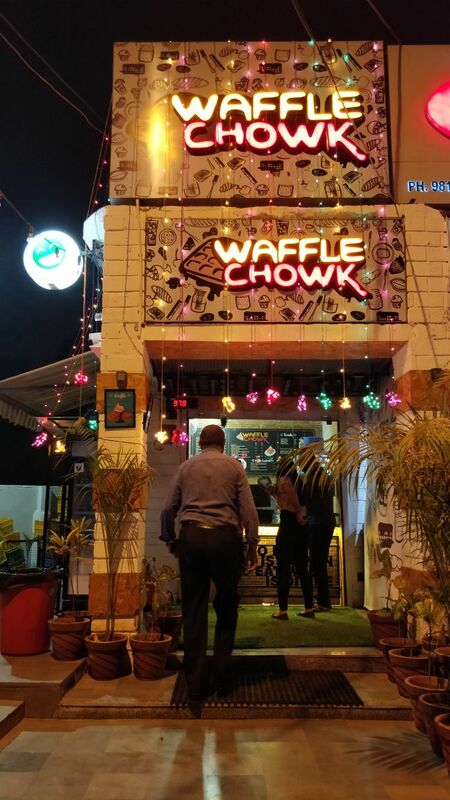 This mini Chandini Chowk of Noida has everything from a wide array of food items to even clothes. The market is always bustling with activity, be it morning or evening, except on Thursdays when most of the shops remain closed. Here, you can buy second-hand novels, street shop, or eat to your heart’s content. The BP Market is a must visit for every food enthusiast. Brahmaputra Market, situated in Sector 29, Noida perceived as the “mini Chandni Chowk” by many is the quintessence of a food paradise. A large number of street food vendors dot the market place, so that you cannot step out of the area without pleasing your taste buds. This place is never without people at any point of the day. 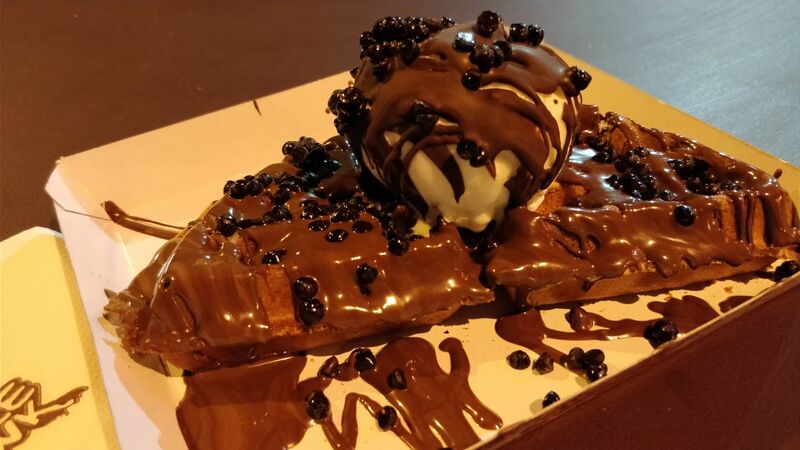 So if you are in a mood of munching something? Or not? This place is definitely going to get you spoilt for choice. There are numerous ‘not to be missed’ dig – ins too, like Lucknow Zaika veg kabab plate, that’ll cost you Rs. 50. 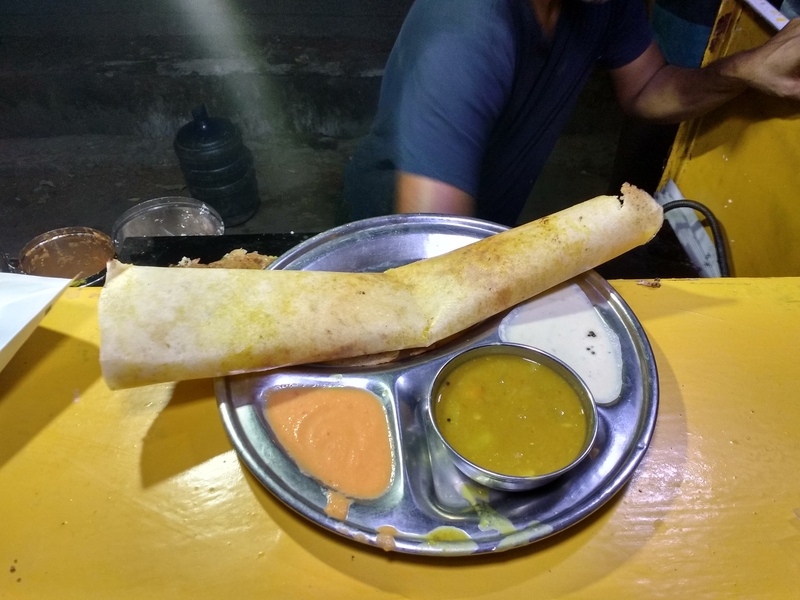 Different stalls for veg and non-veg kababs (cost for two – Rs. 100) are available. Kapoor’s balle balle will serve you the best butter chicken, which will be a treat for all the diehard non vegetarians (cost for two – Rs. 450). Now if the spices get you all sobbing and sniffling, we have Baba Kulfi Bhandar for you; if you have been crying out for sweetness, a Kesar pista kulfi will cost you Rs. 20, and Rabri falooda Rs. 40 (contact – 8800489401). If your health concerns interfere in this tasting spree then you can hit the Bhola juice corner that will serve your purpose with super – fresh fruit and vegetable juices, and toothsome shakes. Their khajoor shake which is worth trying is a unique mixture of khajoor and milk which is unbelievably delightful (cost for two – 120).